All your snippets and source files on all your Macs. Is there a better alternative to CocoaBox? 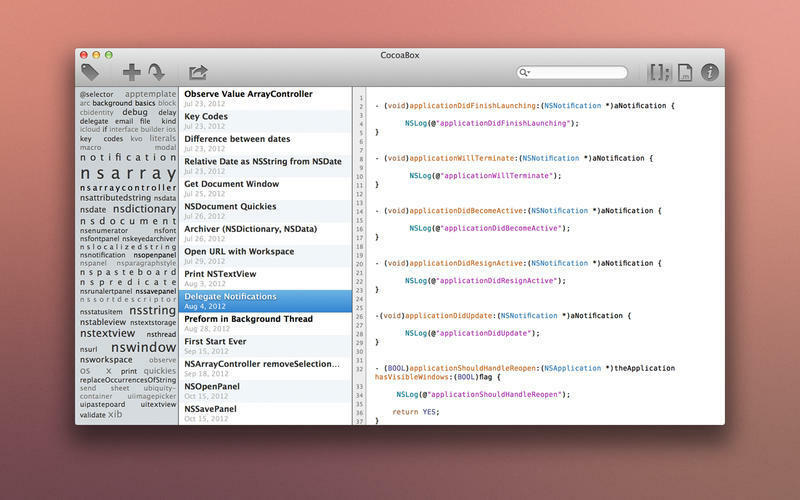 Is CocoaBox really the best app in Developer Tools category? Will CocoaBox work good on macOS 10.13.4? 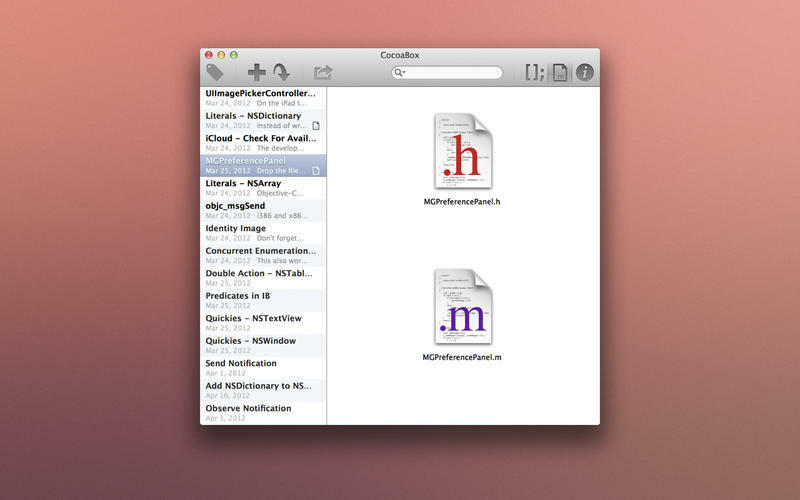 CocoaBox gives you all your snippets and source Files on all your Macs--thanks to iCloud. Thanks to iCloud, use them on all your Macs. Directly insert snippets into Xcode. Even drag multiple snippets out of CocoaBox. Directly create new snippets with a global hotkey. 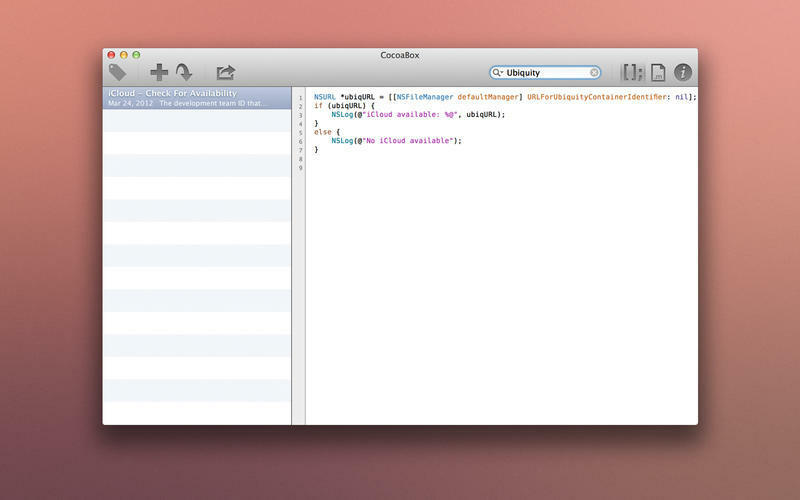 Or easily create snippets from files. Directly drag them into Xcode. CocoaBox needs a review. Be the first to review this app and get the discussion started! CocoaBox needs a rating. Be the first to rate this app and get the discussion started! Open them with one click. Operate CocoaBox completely by keyboard. Filter its content with those tags. Of course, everything else is searchable too.